Below ground water holding reservoirs for garden water features and fountains. Supplied with steel grids and pump hatches to support heavy loads. Our Architectural Water Reservoirs are made from robust black polyethylene and designed for below ground installation. The reservoirs come complete with Support Grid & Pump Hatch and will comfortably support weight of 150 kgs. 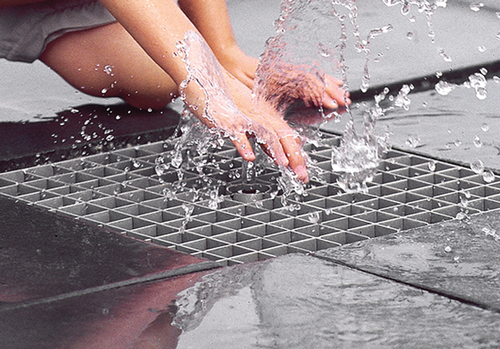 Large water capacities make these ideal for Water Features or Fountain displays and the flat surface offers easy levelling and stable installation. Our Ø140cm reservoir will hold up to 1000 Litres of water and has a depth of 90cm (3ft), ideal for large fountains or water features with higher water demands or as a ready-made fish pond. This reservoir can also be used with the 140cm Steel Grid for feature mounting.